Last Thursday, we were here. And we were scared and lost and looking for even a glimmer of hope. Today, my husband and I were back at the psychiatrist’s office to discuss his thoughts on diagnosis and treatment. We didn’t actually find out anything we hadn’t already been told or suspected. His diagnosis was confirmation of autism spectrum disorder level 1 and generalized anxiety disorder. He also added the “sub” diagnosis of panic disorder, said he will also be evaluating for depression as we move forward and pointed out that all of the above is exacerbated by our son’s high intellect. So we have a confirmed diagnosis, we have a treatment plan, and we have a treatment team who we FINALLY feel understand exactly what our son and our family struggle through. We have hope. 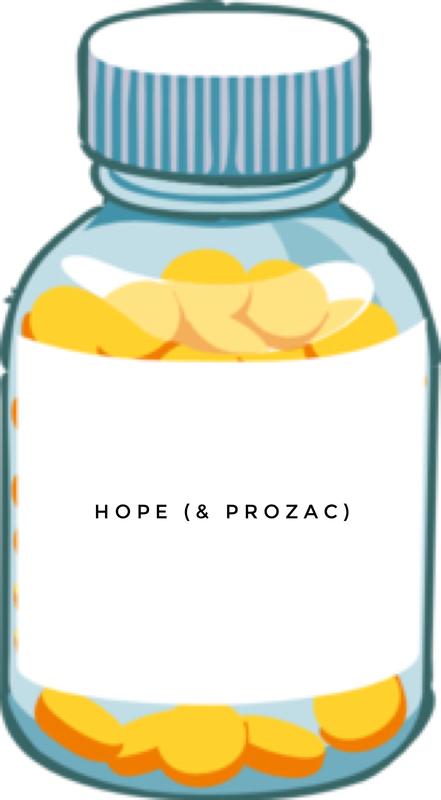 We have hope, and we have a prescription for prozac. We have hope and we have the words to explain to our son what is happening inside his brain and body. As I was waiting at the pharmacy for the prescription, I was texting with somebody who had asked me to let him know the outcome of the appointment. In one of those texts I said that I felt like I had finally exhaled for the fist time in weeks. There is great relief in being able to name what he is experiencing. So I’ve exhaled. My husband and I have hugged each other tight. Tonight we’ll give our son the words to name his struggles and tomorrow we’ll open the bottle of Prozac.